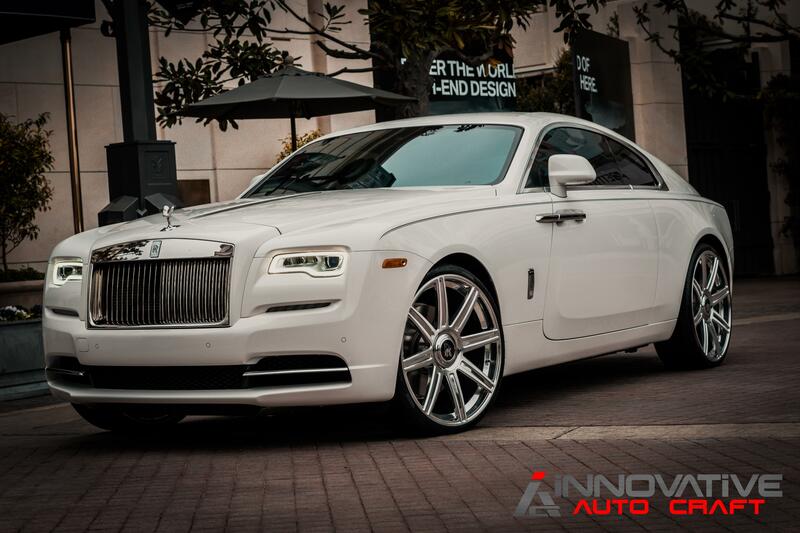 The Rolls Royce Wraith is beautiful inside and out. It was our pleasure to work on such a prestigious vehicle, as we value clients who trust us with their most prized possession. We definitely wanted to add to its class without overbearing the rest of its existing elegance. 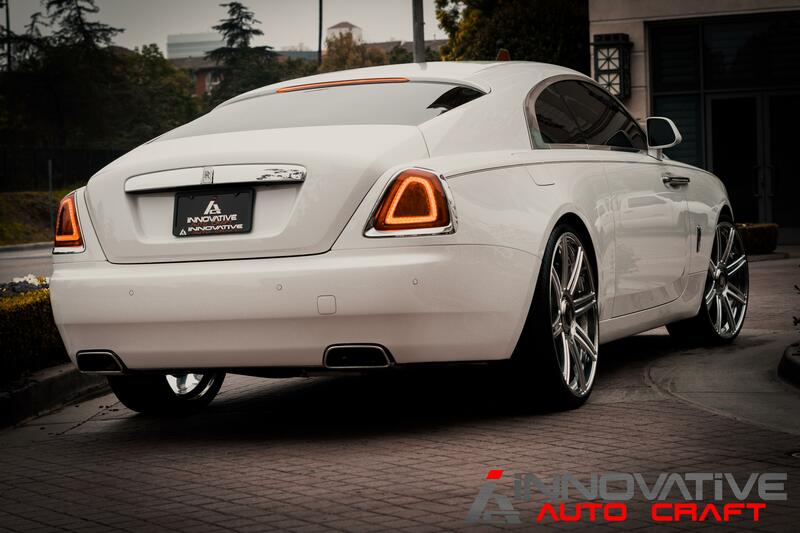 Propelled by a muscular engine, this is the most powerful series model to carry the Rolls-Royce name. The Wraith delivers a truly remarkable, spirited drive unlike any other. The 24 inch Vellano Forged VM28 Wheels were a minor addition to the Rolls Royce; which needed that extra hint of style and luxury. They feature exotic levels of strength and low rotating mass. This particular set of wheels are diamond cut, ground, and shaped from one single block of T6 aircraft aluminum. Whether it is the posh interior, night vision, Bespoke audio, touchpad infotainment controller, head-up display or satellite aided transmission, there is something for everyone to love and appreciate about this car. It is truly the epitome of modern luxury vehicles. In order to make the Rolls Royce, their own, the owner wanted wheels that are rarely seen on this type of vehicle. There are features you can add on to help customize your ride through the dealer, but bringing it to Innovative Auto Craft will help bring your unique vision to life.